The natural latex used for our quality condoms comes from Fairtrade. 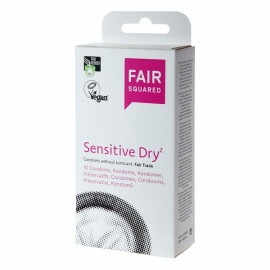 Fair Squared condoms are because of our non-usage of casein vegan. 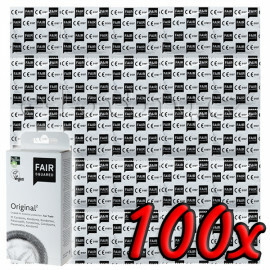 The natural latex used for our quality condoms comes from Fairtrade. 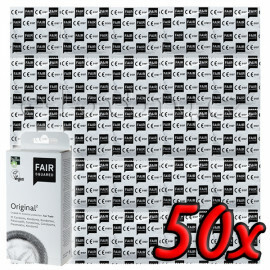 Fair Squared condoms are because of our non-usage of casein vegan. Casein is a protein in cow’s milk and is worldwide most commonly used by the manufacturing of condoms. 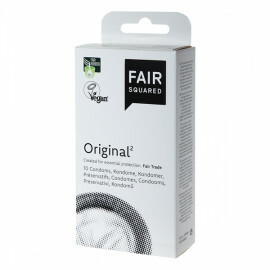 FAIR SQUARED condoms are manufactured in Germany with much knowledge and experience and offer a natural and effective protection against unwanted pregnancies and STDs. 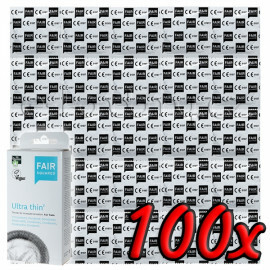 The natural latex used for our quality condoms comes from Fairtrade. 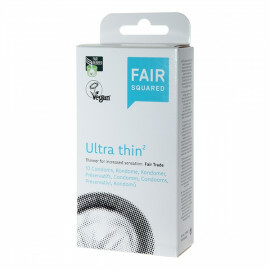 Fair Squared condoms are because of our non-usage of casein vegan. Casein is a protein in cow’s milk and is worldwide most commonly used by the manufacturing of condoms.